No one can deny that hotdogs and hamburgers look (and taste) better when they’re smeared with mustard. But did you know that you may also use this highly popular condiment to look your best? Other than in the form of that unmistakable yellow paste, mustard may be easily purchased at your local supermarket in oil and seeds. Mustard, as a well-known condiment and in its oil forms, may be used to make you more beautiful. Check out the various beauty uses of mustard below. The condiment form also usually contains lemon juice and vinegar, both of which are mildly acidic which helps exfoliate your skin. Simply apply a thin layer of mustard on your face and leave it there for a few minutes to allow the yummy yellow paste to dissolve those dead skin cells. Rinse well with water and enjoy skin that glows! Before you smear mustard on your face, try applying some of it on your inner wrist or elbow to test if it is mild enough for you. 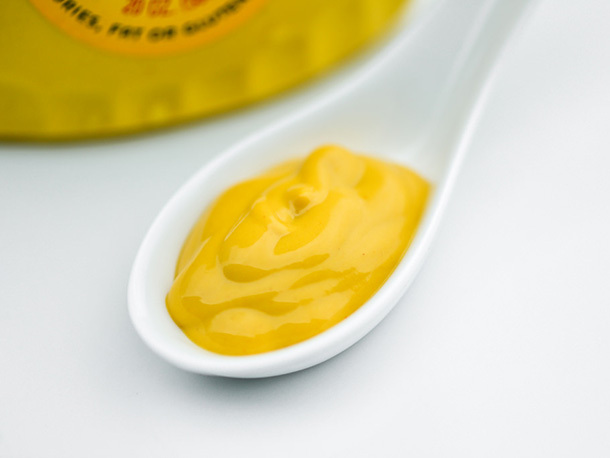 It is a good idea to go for the classic yellow mustard because it is gentler on the skin. If you want to look attractive, you have to feel beautiful from head to toe. There’s no need to step foot in the local spa just to give your tired feet a treat. Simply fill a small basin with warm water and mix a tablespoon of mustard in it. Soak your feet in it for several minutes until the water is no longer warm. Grabbing a foot file or pumice stone right after soaking your feet in a mustard foot bath is a wonderful idea. Gently scrape off those callous and corns to own the prettiest feet on the planet. If you’re looking for an all-natural and highly effective deep conditioner for your hair, raid the kitchen and grab a bottle of mustard oil — not the popular hotdog and hamburger staple! Simply massage the rich oil on your scalp. Don’t forget to spread generous amounts of it on your tresses, from roots to tip. This is best done at night just before you hit the sack. Remember to put a shower cap on to keep mustard oil from getting to your pillows! In the morning, shampoo your hair as what you do in your routine. Massaging mustard oil on your face helps give you that well-moisturized skin that glows. Use small circular motions to promote better blood circulation. Improved blood circulation means more nutrients and oxygen are supplied to your facial skin cells. After 10 to 15 minutes, wipe off mustard oil with cotton balls and wash off the excess. Before doing this beauty tip, try applying some mustard oil on your inner wrist or elbow and wait for a few minutes. If there’s no bad reaction, go ahead. Otherwise, try using mustard essential oil instead, and not the one for cooking. If you want to look like a queen, treat yourself to a luxurious and relaxing bath. Simply add a couple of tablespoons of mustard (the condiment) to your warm bath water. Also, add a tablespoon of Epsom salt and have the water agitated with your hands to disperse both mustard and Epsom salt very well.